Topics: Order A Domain, Whois Program, and Call Us Toll Free. 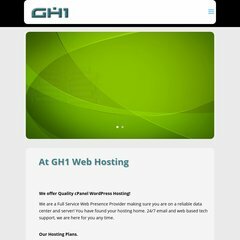 gh1.com GH1 Web Hosting, Inc. - The One Host You Were Looking For! Zipservers Inc Oklahoma is the location of the Apache/2 server. It is written for PHP/5.2.17 language. Its 2 nameservers are ns.yougoweb.com, and ns2.yougoweb.com. PING (74.86.242.35) 56(84) bytes of data.